Learn more about the types of medical malpractice that can cause toxicity and lead to brain damage. When a patient has been prescribed too much medication, whether intentionally or unintentionally, he or she can suffer from adverse reactions. Drug toxicity, or an overaccumulation of medication in the bloodstream, can lead to a variety of life-altering problems, including brain damage. Learn more about the types of medical malpractice that can cause toxicity and lead to brain damage. Doctors prescribe medication to patients every day. 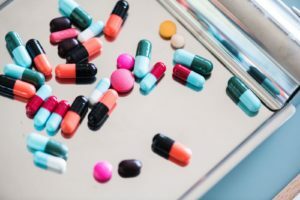 When a doctor or other medical professional prescribes the wrong medication or leaves a patient on the medication for too long, the patient may experience toxicity. Sometimes, a doctor can prescribe the correct drug for the recommended length of time but fail to monitor the patient’s weight or other physical changes correctly. A person who has lost a significant amount of weight would likely not need to take the same dosage prior to the weight loss, and the doctor must update their prescription. If a pharmacist gives the patient the wrong medication or the incorrect dose of a drug and toxicity occurs, he or she may be at fault. Some medications can cause toxicity even when administered correctly, and the pharmacist must distribute the correct prescription. Anesthesia toxicity can occur if anesthesia is administered incorrectly or if the anesthesiologist fails to monitor the patient properly. If a person experiences toxicity as a result of an anesthesia error, he or she can suffer from hypoxia. Hypoxia occurs when there is a lack of oxygen to the brain, and it can be fatal. Do you believe that your loved one has suffered brain damage as a result of medical malpractice or medical neglect? You need to talk to an experienced team of local lawyers today. This entry was posted on Thursday, January 24th, 2019 at 10:43 am. Both comments and pings are currently closed.